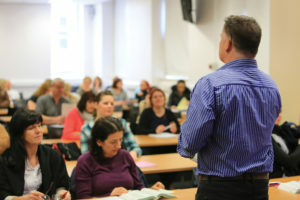 Social work degree qualifying programmes, within the Partnership, are offered by the University of Huddersfield and University of York. These will provide you with the practice skills and academic knowledge needed to become a registered social worker in England. In addition, both universities have outstanding track records in providing high quality social work teaching, with excellent achievement rates and student satisfaction feedback. Successfully make the transition from student to frontline Social Worker. Hear why some of our current Social Workers chose the profession and their experiences of studying and working in the partnership. Watch the films here.